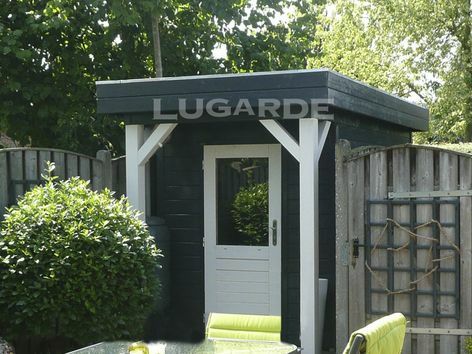 The Lugarde Prima Harvey is a small but perfectly formed summerhouse. It has a flat EPDM rubber roof with covered canopy entrance and a single half glazed door. Approximate overall size 3.6m x 1.8m in 28 mm log thickness. The standard package includes 1 x PE61 single door. 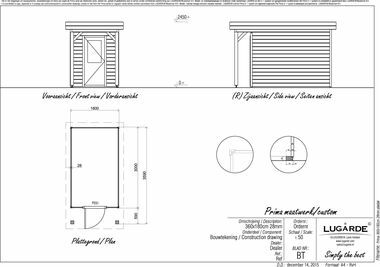 The canopy measures 0.6m x 1.8m and includes 2 pine posts.